Anchor Tackle was established in 1978 by Ross Keightley, producing fishing weights out of a small workshop in the South East of England. With his engineering background, Ross was able to invent custom machines, which moulded the weights much more effectively than the traditional hand poured method. This established the tradition of innovation in the company that continues to this day. 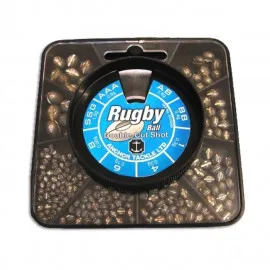 Thanks to the success of the first carp weights Ross produced, the major names in carp fishing were coming to Ross to request a range of weights that were painted black. The company reached peak production in the mid-eighties, and over 10,000 carp weights rolled off the production line each day. However, harder times were to come. Non-toxic legislation was introduced as part of the Consumer Protect Act of 1987, which outlawed the use of lead in fishing weights. 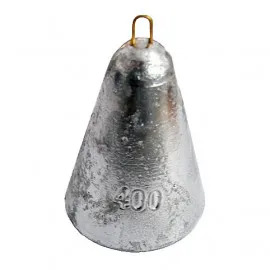 Anchor Tackle initially produced a super denser alloy bomb, to keep within the lines of the law, whilst simultaneously investigating non-lead split shot opportunities. Unfortunately, due to the high iron content of these split shots, the cost of production was far too high to maintain, and these spilt shots were dropped from the production line soon after they were introduced. 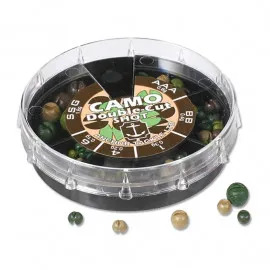 Similarly, the tin-based shots were found to be too hard, with many anglers finding it difficult to attach the shot without causing damage to their lines, and these shots were also dropped from production soon after they were introduced. Ever the innovator, Ross moved forward from these failures, and patented the ‘Double-Cut’ principal. 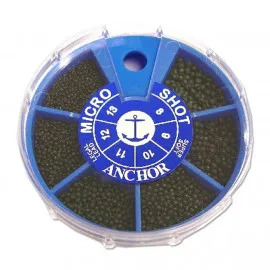 This transformed the stiff tin shot into an easy to open and close shot that both hung centrally and didn’t cause any damage to delicate line. 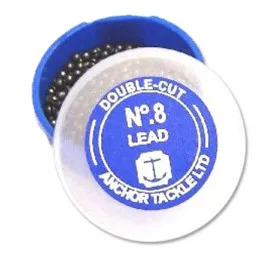 This ‘Double-Cut’ technique kept the company above the water where other weight companies sunk, and is the reason why Anchor Tackle is still the big name that it is. Anchor Tackle is a family business, and the current Managing Director is Ross’s son, Arun. Arun has followed in his father’s footsteps of tackle innovation, and created a corn that didn’t pop-up up, but also didn’t sink too fast. This ‘Critical Corn’ was received to resounding success, and thanks to its natural density it achieves exactly the effect that Arun wanted. This invention was part of the major facelift that Arun instigated, bringing Anchor Tackle firmly into the twenty-first century, and most importantly added a second string to Anchor Tackle’s bow. Now the company is known for its bait as well as its outstanding weights. In the two years after Arun’s ‘Critical Corn’ was released, the imitation bait range has increased significantly. From the solo product, Anchor Tackle now manufactures over 70 different types and colours of baits. Anchor Tackle is, then, a company committed to innovation in the face of adversity, and continues to give anglers the products they desperately need. As a company with in-house engineering, all the products are manufactured under the watchful eye of the Keightley family, ensuring that every single product is perfect. Having outgrown its South London base, Anchor Tackle now operates out of a Wilshire factory, and is constantly developing new products to wow anglers across the country.